Installation of buildings of arch type We execute installation of hangars of arch type. Contractual price. Installation of metal designs, BMZ. 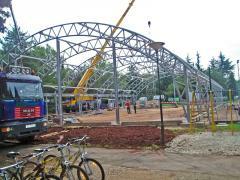 Installation of the fast-built buildings We carry out installation of construction metalwork of different complexity. More individually approach to each client. Contractual price. 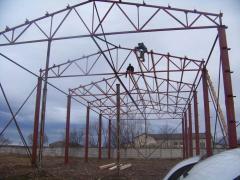 Unbelievable price on Metal construction installation in Kalush (Ukraine) company StalBudMontazh, OOO. Wide choice of quality services at affordable prices.